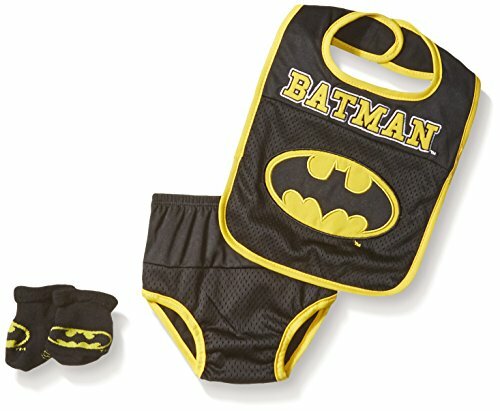 DC Comics offers some adorable bib and bootie sets for infants that make great outfits for photos and baby announcements. 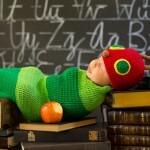 Let the world know you have a brand new super hero at your house with these cute costumes for newborns and infants. 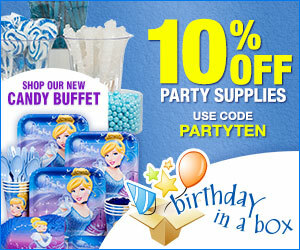 Perfect for photo props and can also serve as cute costumes. 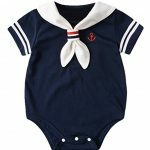 Here we look at some bib and bootie sets available through Amazon. 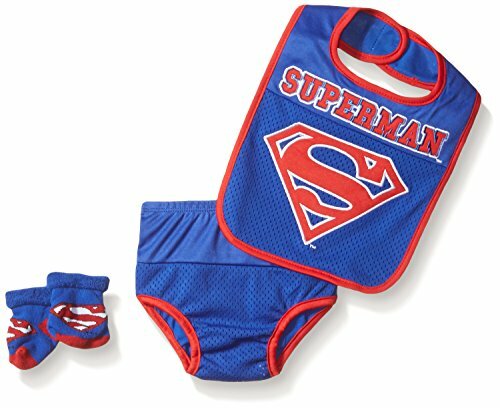 This set is made for the tiny Superman and includes bib, booties, and diaper cover. Bib is made from 100% cotton and is blue with red Superman “S” logo and red trim. Diaper cover is blue with red trim and made from 100% cotton. Booties are 80% cotton, 18% nylon, and 2% Spandex and feature the Superman logo. Super cute and great for hospital photos. Transform your infant into baby Batman with this cute diaper cover, bib, and bootie set. Both bib and diaper cover are made from 100% cotton and feature black mesh fabric with contrasting yellow trim. Bib and booties both feature the Batman emblem. Booties consist of a blend of cotton, nylon, and Spandex. 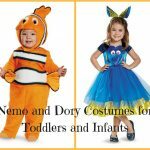 Makes a super cute costume for a little one ranging from newborn to 24 months and is great for showing off your baby Batman in special photos. 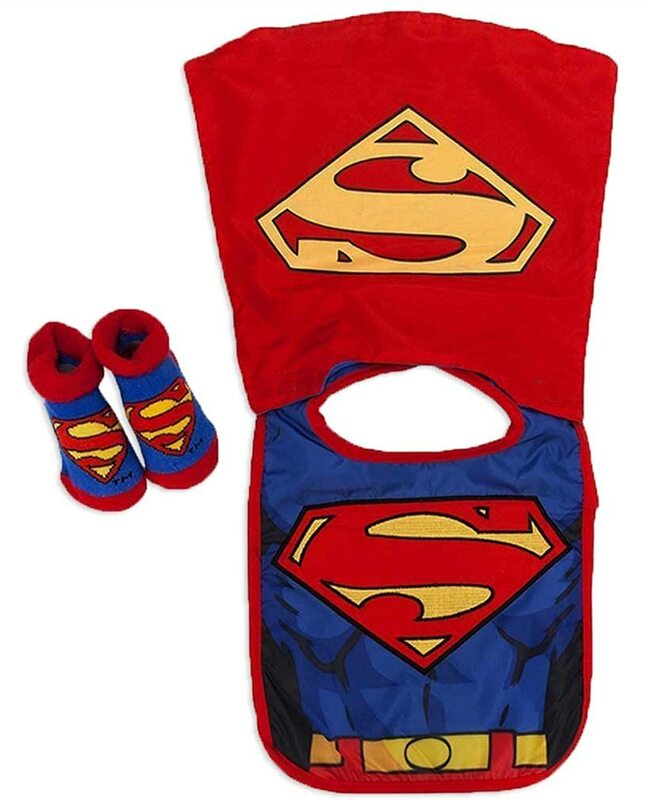 This bib and bootie set comes with a removable red cape featuring the Superman symbol. Bib is blue with red and yellow Superman emblem and made from 100% polyester with 80% cotton/20% polyester lining. Booties also feature the Superman symbol and are made with a blend of cotton/nylon/Spandex for comfortable wear. This is a cute caped bib and booties set for a baby girl. 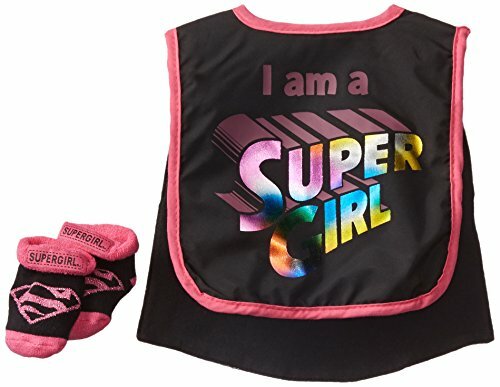 Features a black bib with black cape, with bib trimmed in pink with the words ” I am a Super Girl” on the front. Booties are black with pink trim and feature a pink Supergirl logo. Made from 100% polyester with 80% cotton/20% polyester lining. 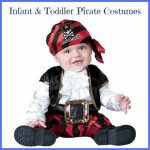 Makes a great costume for baby to wear for Halloween or other events, as well as being a great outfit for photos. Your little bundle of joy will look adorable in this bib/booties/cape set. 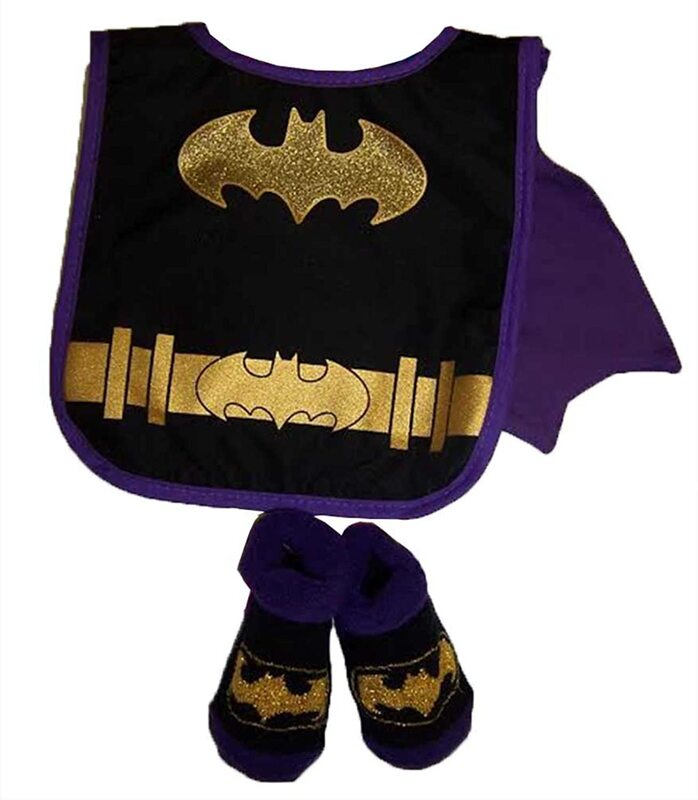 Your tiny caped crusader will really be styling in this black bib with purple trim and gold Batgirl belt and emblem printed on front, purple cape, and black booties with purple cuffs and gold Batgirl emblem. 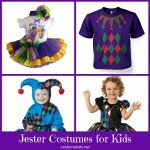 Made from 100% nylon, this costume set is perfect for photos, Halloween, and more. 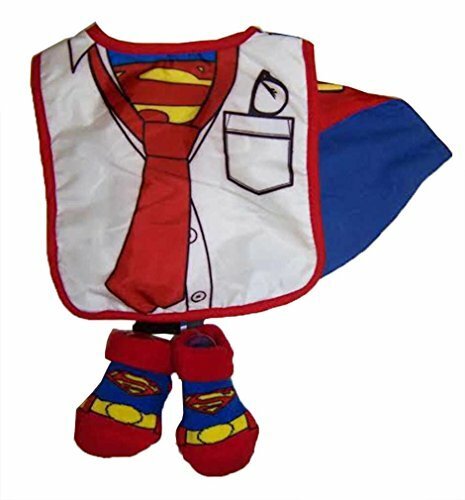 This cute bib and booties set features a work shirt and with the Superman costume and logo showing underneath, as your tiny tot is in the process of transforming into Superman. 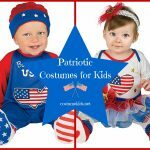 Made from 100% nylon, costume features cools blue and red cape with Superman logo. Booties are blue, red, and yellow, with Superman logo. This costume is a one size and has a cape that attaches to the bib with Velcro. 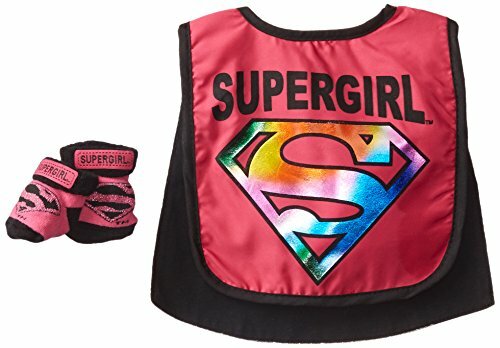 Bib is pink with black trim with the word “Supergirl” and a large “S” emblem in multi colors. Cape is detachable and is silver with a multi colored “S” logo on the back and black interior lining. Booties are pink and black with the “S” logo. 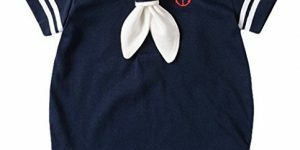 Made from 100% polyester with a lining of 80% cotton and 20% polyester. 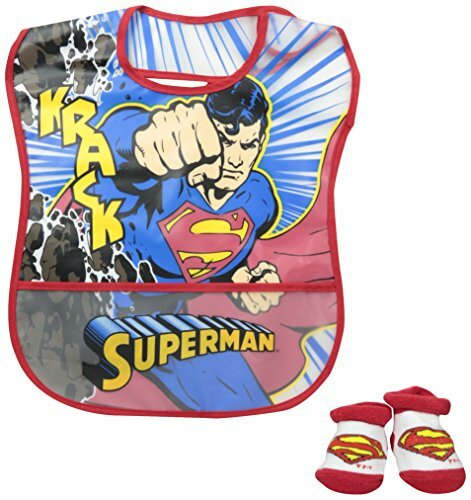 This is a very practical and functional bib and bootie set that has a compartment for catching any crumbs your little Superman might spill. Bib features a colorful picture of Superman with his fist out and the word “Krack” as he busts through a boulder. Booties are white with red accents and feature the “S” logo. Velcro closures for comfort and easy removal. This bib and booties set is made from 100% nylon. 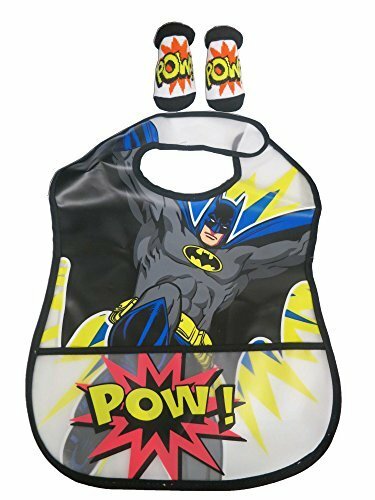 Bib has Velcro closures for easy on and off and features a colorful Batman kicking with the word “Pow!” Booties are white with black accents and feature the word “Pow!” in yellow with orange accents. Bib also has a handy pouch to collect any crumbs that spill. 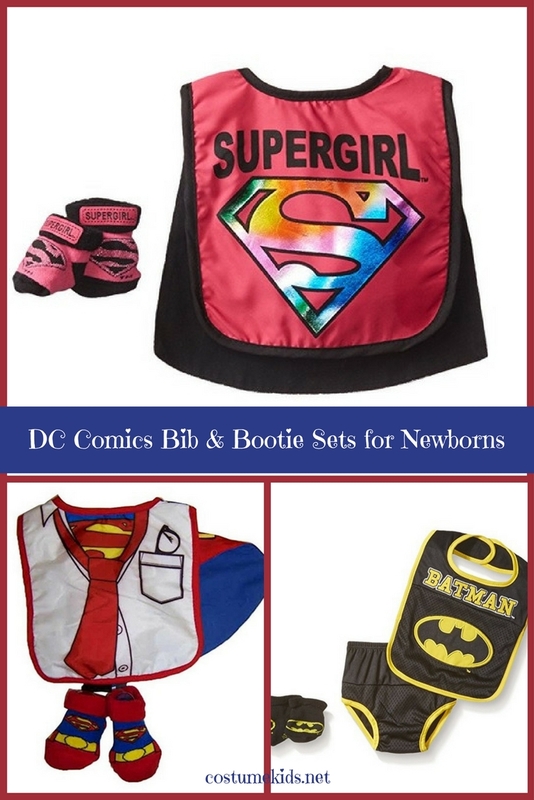 DC Comics offers some adorable bib and bootie sets for infants that make great outfits for photos and baby announcements.